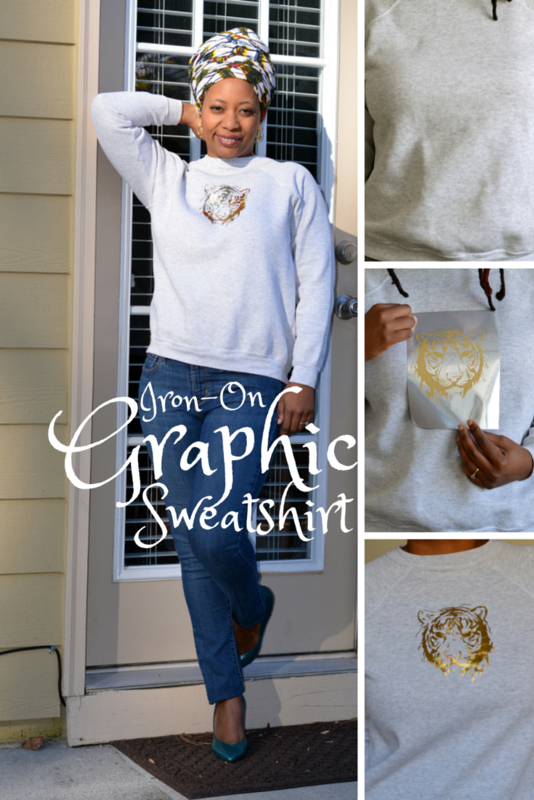 I've had the tiger iron-on in my craft stash for over a year now. It was one of the goodies I received from a Consumer Crafts partnership. It wasn't until I thrifted a grey Hanes pullover that realized these two would make an awesome and easy graphic sweatshirt. DIYs don't come any easier than iron on transfers. Trim around your design and iron it on. Quick and easy. 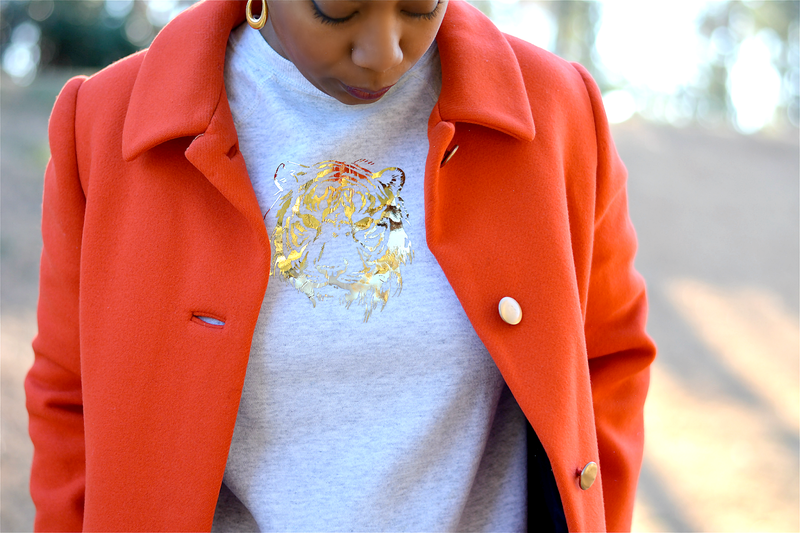 While I liked the sweatshirt before, I think the stencil adds a little trend to the mix giving this old sweatshirt new life. I found it during my epic all tops thrift haul. It was so soft and broken in -- it's a comfort garment. It doesn't have that certain something I look for in thrift but it was $2 and I liked the fit. Just like the previous owner, I'm sure to have it for a while. As you can probably tell, I'm wearing orange again pairing it with grey and denim this time. 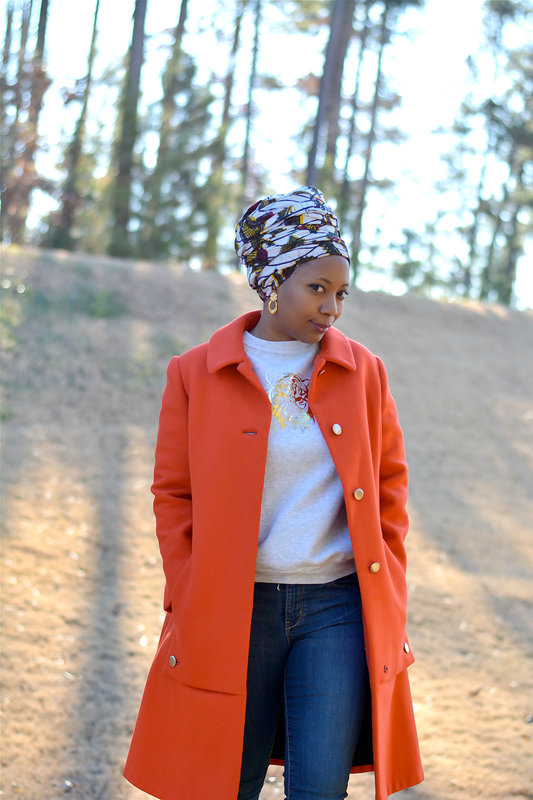 This vintage coat is one of those amazing thrift scores that make me gasp. I gasped at that price too but in the end paid $15 because it is a stunner. The healthy glow it adds to my skin is just a bonus. There's more ankara print too. This time from the thrift store. 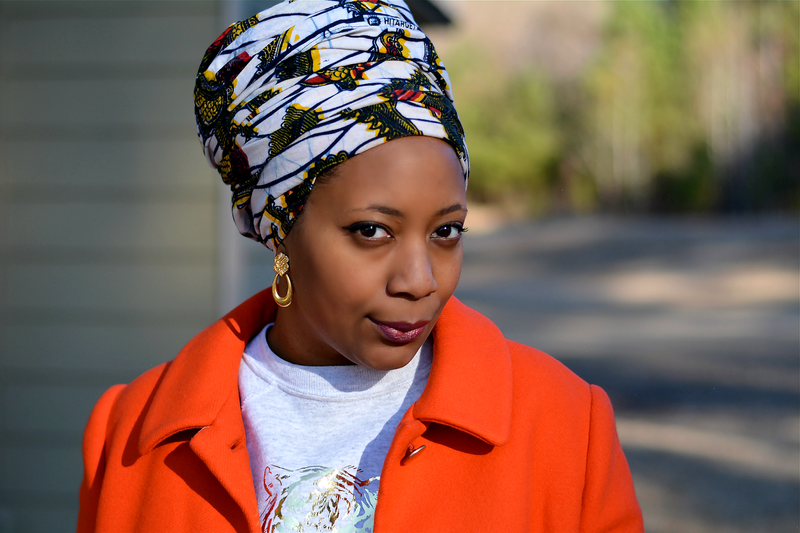 I spotted it while I was coveting the ankara skirt in another thriftanista's cart. The green glare of envy was probably blinding her so she moved on and left this lovely piece behind. The green pumps were not necessarily on my thrift wish list but pointy toe pumps were. The older styles come with a heel that's much more reasonable for me to walk in without wiping out. The emerald green color grew on me fast. They're unique and I like unique. Do you use iron-on transfers? Love this idea, and the transformation is cool! I love this whole look!!! 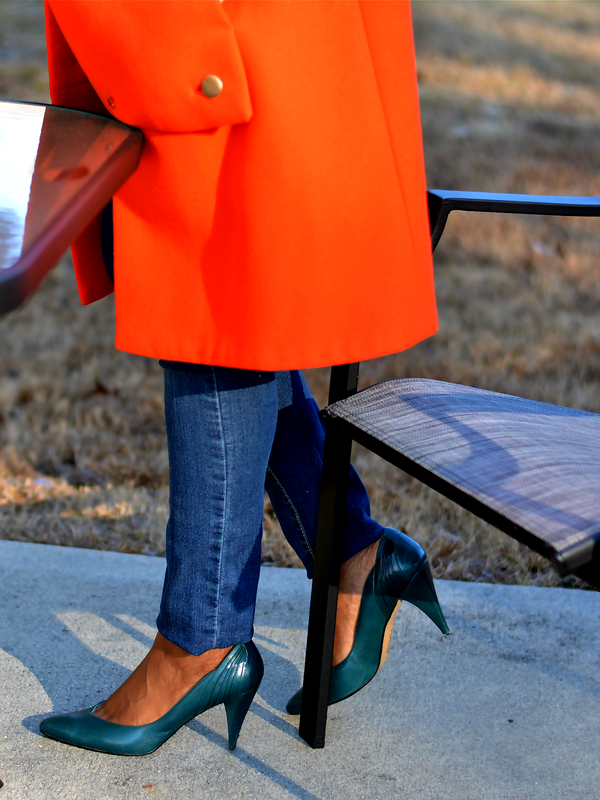 The orange cost is speaking to me and the heels are... Just fab:). Cool find one Ankara too darling! That coat is gorgeous! I'd have paid $15 for it for sure. The iron-on sweat short is such an easy DIY! Love the colors in this outfit and that DIY is too cute. Happy Holidays. Oh my goodess, you are strikingly beautiful! You seriously look stunning. 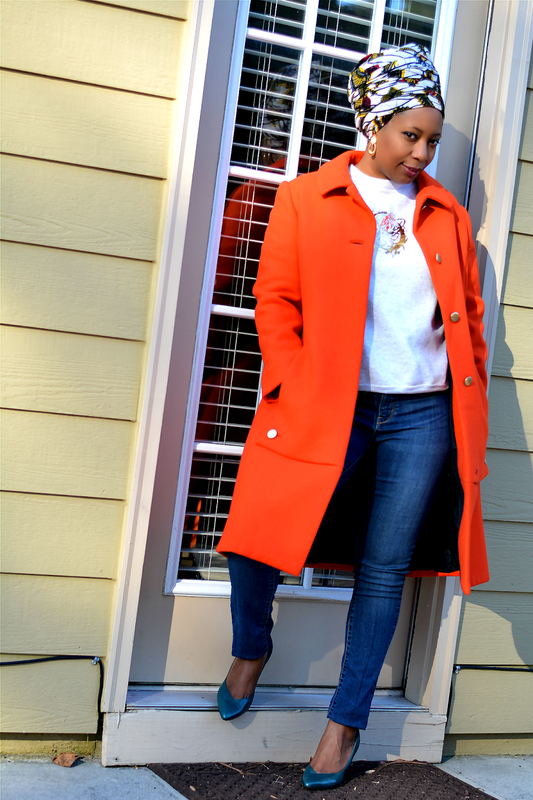 Thanks so much for linking up with Fab Five Fridays!! This is great! I'd never consider wearing a grey sweatshirt like that plain, but decorated like that is a whole 'nother story! And wow, is orange your color!